It has been reported that Wayne Rooney has rejected claims that he is planning to leave Manchester United after changing his Twitter bio. 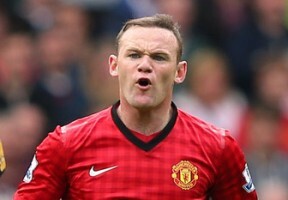 On Thursday it was noted that Rooney no longer had the words Manchester United on his Twitter page, and instead referred to himself as an “athlete”. This was taken as a sign the 27-year-old sees his future away from the Red Devils despite David Moyes’ arrival as manager. Yet the England international striker is adamant the stories are wrong. On Friday, Rooney released a statement on his website which read: “There’s a load of rubbish being written about me changing twitter bio saying I have deleted Manchester United from it. “I have never deleted Manchester United from the bio whatever the papers are saying because it was never on there. “All that happened was that I was asked by Nike to add @nikeuk to it – the same as many other sports people they sponsor. “Funny, no one’s written about that though!